Boeing Defense Micro X portable, ultra-lightweight mobile X-Ray. Aerospace production ramps up: Revenue from the group’s JSF contracts for FY18 was $38.6 million, up 45 per cent from $26.7 million in FY17. JSF revenues are expected to increase in FY19, in line with the growing F-35 production schedule which has delivered 310 JSF aircraft to date. C-130J wing flaps production continued at the long-term rate of two ship-sets per month and after year end Quickstep secured a contract extension for production of these parts for a further five-year period from 2020 to 2024. During the year, the company commenced development to manufacture parts for Boeing Defense and also produced components for Micro X’s portable, ultra-lightweight mobile X-ray. Targeted new business activity: During the FY18 year, Quickstep secured two new export programs with Boeing Defense and became an approved supplier for Boeing, opening opportunities across the Boeing Company, and for Airbus in Australia and the south Pacific. Quickstep is also a member of the General Atomics-led Team Reaper Australia partnership, which is tendering for Australian remotely piloted aircraft systems business. 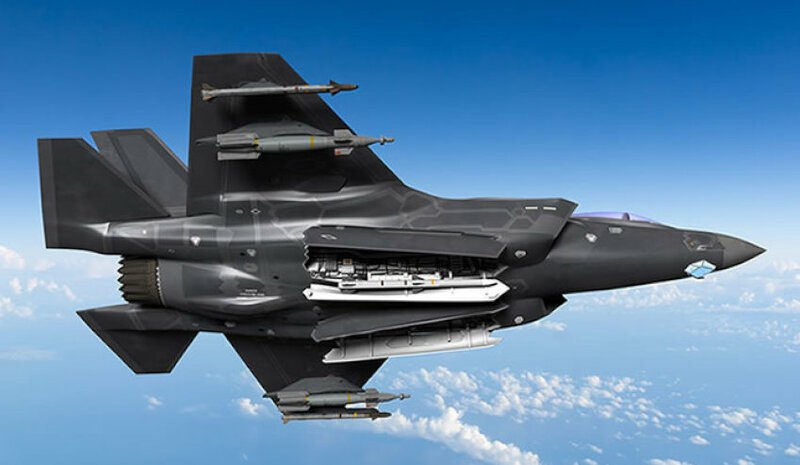 After year end, Quickstep announced that it had secured a new project to produce carbon fibre composite housings for an F-35 counter-measure flare for Chemring Australia, further expanding Quickstep’s activity. This project is supported by project funding from the F-35 Lightning II Joint Program Office through Chemring Australia and a New Air Combat Capability – Industry Support Program grant of $1 million, alongside investment by Quickstep. Additionally, Quickstep also announced that it has signed a memorandum of understanding (MoU) with Lockheed Martin for a Long Term Flexible Contract (LTFC) associated with the ongoing supply of C-130J/LM-100J wing flaps for an additional five-years, covering the period 2020 to 2024. Quickstep has an existing contract with Lockheed Martin to provide wing flaps for the C-130J/LM-100J aircraft through to end-2019. The company has also signed a letter of intent to work jointly on future projects with Triumph Aerospace Structures. Quickstep has completed a successful manufacturing trial using its patented Qure technology to produce demonstration automotive front fenders for a European car manufacturer and entered into a sales and manufacturing agreement with the ATR Group, a leading Italian supplier of advanced manufacturing composite components for the aerospace and automotive sectors. Outlook: Quickstep anticipates that the business will continue to improve in FY19 as JSF deliveries ramp up towards peak production volumes over the next two years. The group’s revenue is expected to grow by at least 20 per cent in FY19 and gross margins will continue to improve as the group benefits from economies of scale and increasing efficiencies. As a consequence, the group expects to deliver positive EBIT for FY19 as well as positive operating cash flow. Step-change growth: Step-change to commercial aerospace supply. Securing large global programs and/or inorganic growth across the wider defence, commercial aerospace and automotive industries. Over the next three years, Quickstep expects to benefit from increasing JSF production and higher margins as economies of scale improve. An enhanced business development function and healthy project pipeline has the company well positioned for future profitable growth. The group continues to be focused on high value, expanding global markets while strengthening its position as a leading independent carbon fibre composites manufacturer.